Hello everyone, happy weekend. This weekend we will start to learn Transactional and Rollback Configuration on ALU 7750 SR. Transactional configuration make operator can edit a candidate configuration (a set of configuration changes) in CLI without causing operational change the active configuration. When candidate configuration is done and operator think the configuration is correct, they can do commit to apply the configuration and make the candidate configuration become active. This feature introduce in SROS 11.0R2. The Transactional Configuration influence the Rollback Configuration. 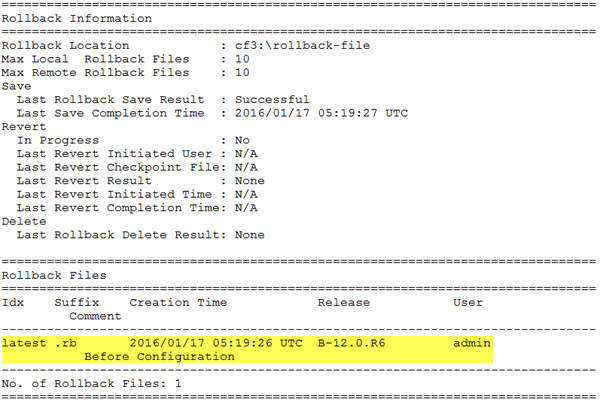 Rollback configuration introduce in SROS 9.0R4. Rollback configuration provide the ability to return previously saved configuration called rollback checkpoint, so we can back to the old configuration with fast with minimal impact service. 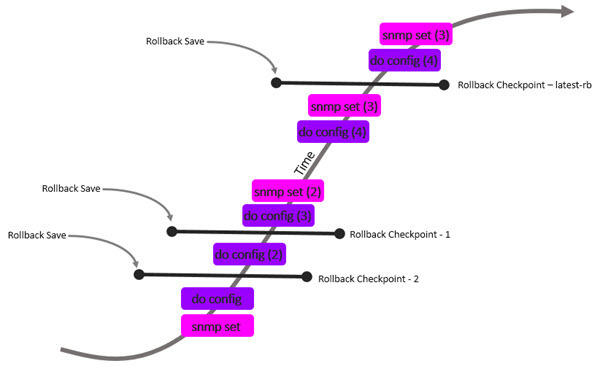 The rollback check point is created when the admin rollback save is triggered by operator. 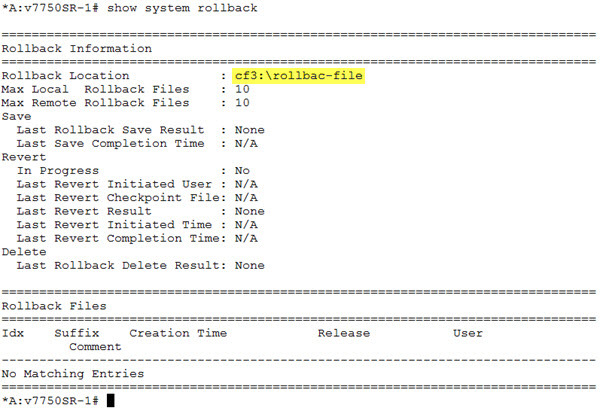 Then operator my revert to last configuration they want in each Rollback index. And picture below describe, how the transactional configuration influences the rollback configuration. When operator want to use transactional configuration or we can call it candidate configuration, It should be enter the candidate edit mode. 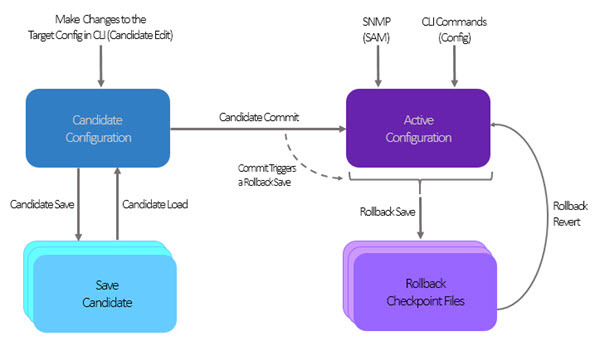 Before you create candidate config, the first must do is make rollback location. 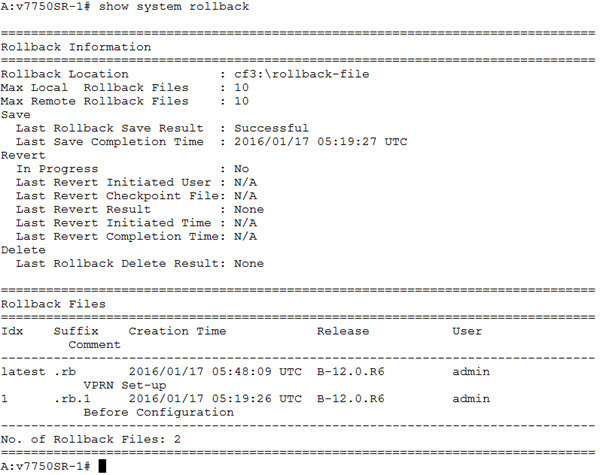 When first time make rollback, the minor alarm is triggered but it's ok.
*A:v7750SR-1# admin rollback save comment "Before Configuration"
A:v7750SR-1>edit-cfg# candidate commit comment "VPRN Set-up"
Then when you open show system rollback, the rollback check point is created when commit is triggered. Then the rollback file for the latest rb has comment "VPRN Set-up and 1 rb that has comment "Before Configuration" be rollback check point 1. 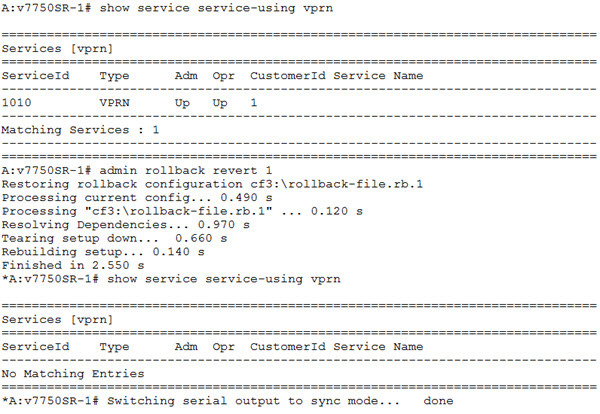 The minus (-) mean, in rollback 1, there is no configuration vprn. Then this the different output when before revert and after revert use. I thinks, that's all. The simple explanation about Transactional and Rollback Configuration on SROS. Hope You Can Enjoy It.